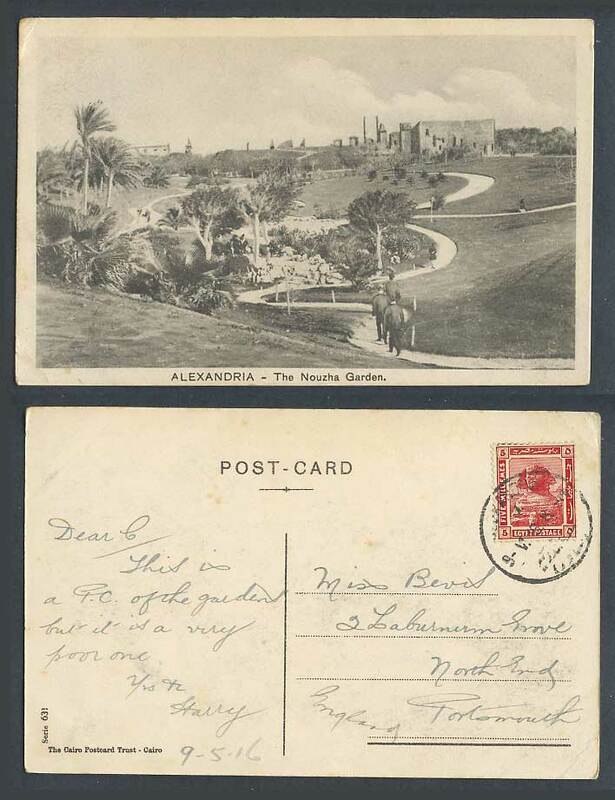 Vintage Egyptian Picture Postcard, Africa Egypte Egypt. Alexandrie - Jardin Nouzha Garden. Path. Palm Trees. Gardens. Panorama. General View. Postally Used in 1916 with 5m Sphinx stamp.